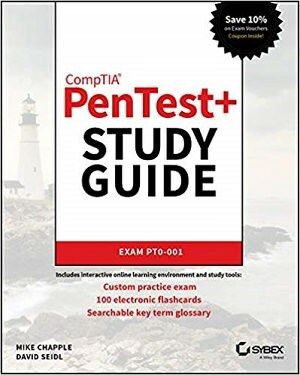 The CompTIA PenTest+ Study Guide: Exam PT0-001 offers comprehensive preparation for the newest intermediate cybersecurity certification exam. With expert coverage of Exam PT0-001 objectives, this book is your ideal companion throughout all stages of study; whether you're just embarking on your certification journey or finalizing preparations for the big day, this invaluable resource helps you solidify your understanding of essential skills and concepts. Access to the Sybex online learning environment allows you to study anytime, anywhere with electronic flashcards, a searchable glossary, and more, while hundreds of practice exam questions help you step up your preparations and avoid surprises on exam day. The CompTIA PenTest+ certification validates your skills and knowledge surrounding second-generation penetration testing, vulnerability assessment, and vulnerability management on a variety of systems and devices, making it the latest go-to qualification in an increasingly mobile world. This book contains everything you need to prepare; identify what you already know, learn what you don't know, and face the exam with full confidence! As our information technology advances, so do the threats against it. It's an arms race for complexity and sophistication, and the expansion of networked devices and the Internet of Things has integrated cybersecurity into nearly every aspect of our lives. The PenTest+ certification equips you with the skills you need to identify potential problems-and fix them-and the CompTIA PenTest+ Study Guide: Exam PT0-001 is the central component of a complete preparation plan.